Son of Conrad & Mary Ann Elizabeth (nee COUGHLAN) HAAR, of Winchester. Brother of George Frederic & Johann Diedrich who also served in WWI. 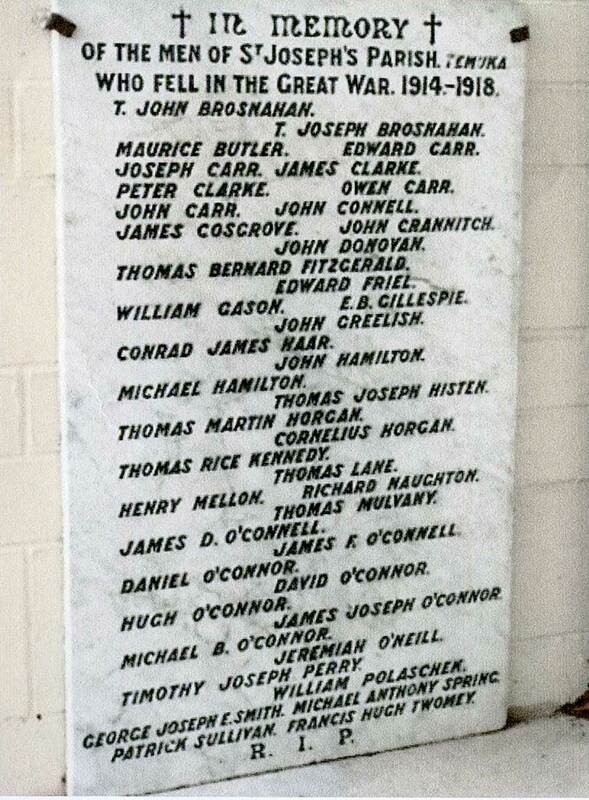 Conrad's name is inscribed on the Winchester War Memorial which was unveiled in a touching ceremony on 23 May 1920. The proceedings opened with the Lord's Prayer, followed by the singing of the hymn "Lead Kindly Light" and the laying of wreathes by the school children as the names were read. Several tributes were paid to these brave men who had given their lives in order that others might live in peace. In July 1920 at the largest gathering ever seen in the Victoria Hall, Winchester, when district soldiers were welcomed home and presented with medals, those who had made the supreme sacrifice were remembered by the presentation of certificates to their next-of-kin - Conrad was one of these men.